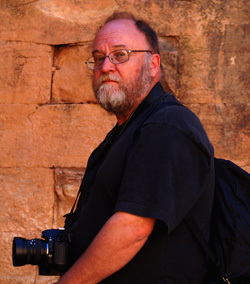 BO WIBERG is SCECH’s documentation photographer and specialized in Art and Antiques. After four years education in Sweden at Gamleby School of Photography (1970-1071), respective the Army’s School of Photography (1973-74), he has been active photographer for more then 40 year and as such been engaged in the various fields that belongs to his profession. But to the major part he has been dedicated to artefacts and then not just with stationary Art but also together with contemporary artists in order to present their works in public. Besides this he has partly been devoted to portrait photography and photos used in the context of industrial production and to photography related to medical service and research. Especially meritorious in connection to SCECH’s activity in Ethiopia is a number of commission 1989-1999 for Runfeldts Auktionskammare, Lund (Runfeldts Auction Hall, Lund): documentation of various antiques, i.e. old furniture’s, fancy goods, porcelain, glassware, textiles, paintings in various techniques from different epoch etcetera, published in different ways, including Runfeldts annually published catalogues, respective for Lunds Konsthall (Lund Art Gallery): documentation of a number of exhibitions presenting paintings and sculptures in differing styles and techniques done by famous artists from Sweden and abroad. As photographer and member of the group Tundra he has been awarded with the honourable Lund Culture Prize as well as with The County of Malmoe Culture Prize. Has has also in 2008 and 2009 been active in Ethiopia in Lars Gerdmar’s research project in progress: Studies of the Ethiopian Icon on wall, cloth and parchment, focused of the monastery churches on the islands of Lake Tana and ancient sacred art in Amhara and Tigrai.